Don’t Listen to the Music! At this point in my career, I see music differently than 30 years ago. I view the listening of music more of a very personal experience. In fact, I don’t want my audience to listen to the music. To me that’s too passive and only half the story. What is behind the music? Which events in the composer’s life are reflected in his or her compositions. We need to dig deeper into the music. Recently, I sat through a performance of Beethoven’s Symphony No. 9. How can such an iconic piece not be engaging, thrilling, emotional? But it wasn’t. There was something missing. In fact, the first composition on the program, Schoenberg’s 9 minute A Survivor From Warsaw was more startling. The piece connected with all of us-we actively lived the dark side of humanity-the shadow of mankind. So why wasn’t there any light with the Beethoven? The conductor with the orchestra did not connect the dots…they left us hanging, as we were hoping for a most uplifting thrill ride. It never happened. It is that communication- the triad-conductor, orchestra, audience which is so vital. We are all in this together. Not to be led like sheep and told what to feel but to stop listening and bathe in the light individually. That’s chemistry. It doesn’t happen often enough but when it does-it’s the best feeling, the best accomplishment. Don’t just listen to the music but “be present” with the music, the composer, the orchestra, and the conductor. It’s a journey we take together but we experience it individually. Unlike many who are interviewed in these pages, the conductor Barry Kolman does not claim to come from a long line of musicians. His sister once brought home a violin from school and after a few minutes of scratches and screeches, his father said to her, “Either the violin goes or you go.” Fortunately, it was the violin that went, ending his sister’s brief musical career. Despite this unpromising introduction to the art of making music, keeping time to the music on the record player became an automatic response. I started playing the clarinet in elementary school and found a group of kids like myself who would get together on the weekends and play any type of music we could find. In high school, we formed a “bar mitzvah” band and played out of “fake books” as well as making our own arrangements. We played a bunch of gigs and even had an audition with an agent who booked bands for the Catskills resorts in upstate New York. I always loved music. But it was when I was introduced to my first real professional star musician, David Weber, principal clarinetist with the New York City Ballet, that I decided that music was going to be my career. That was the easy part. Now to convince my father that I wanted to be a musician, that was the hard part. Dad was a businessman and he had his plans for me: major in math and go into business with him. It took me a year of being a Math/Computer Science major to finally get the nerve to break the bad news; I wanted to go to music school. It was the first Thanksgiving of my first year in college. I came home with my elephant bell bottoms and shoulder-length hair (after all it was the 1960s) and sat down in the living room. I just blurted it out, “I’m thinking of joining the Peace Corps after college.” Where did that come from? My father stared at me with his steely eyes and then I confessed my secret love for music. He said nothing; I only heard the crash of massive disappointment. Other than that, it was the loudest silence I have ever experienced. It was not until I earned my doctorate that I felt my father was convinced I could make a living as a musician. My mother has told me in recent years that, in fact, my father was extremely proud of his son all along. Kolman earned his first degree, in music education, from the Crane School of Music at SUNY in Potsdam, New York. After a stint teaching in public schools, he did a master’s degree in performance at Illinois State and took his doctorate in conducting from the University of Northern Colorado, where he was awarded the Graduate Dean’s Citation for Excellence and where he graduated with High Honors. He has also taken part in master classes by Zubin Mehta and Frederick Fennell. The road from studying music to performing it, however, was not so direct, as it happened. What I wanted to do as a musician changed often, from symphony orchestra clarinet player to high school band director to college professor to symphony orchestra conductor. I never quite found that hook I was looking for until the conducting bug hit me. I did take a host of clarinet auditions. At one audition, very anonymously and behind a screen, I played the opening bars of the Mozart Concerto, the staple of all auditions. Suddenly a small little head popped out from behind the screen and said to the others, “No, it’s not him.” This was my first foray in the politics of auditioning. I didn’t stay long enough to find out who the “audition board” really wanted. It was then I thought it was time to rethink this option. Yet, in spite of rationality and reality, I continued to audition. There was an audition for the New Orleans Philharmonic for second clarinet. We all (by then we all knew each other; the same bunch of sad sacks going from audition to audition and all ending up eventually at the airport bar) dragged ourselves to the City Center for the beheading. Our guide at the door led the way. As I was walking, it was hard not to notice that there were tigers, lions, and elephants in cages. “Is this where the losers end up?” Answer: The circus was in town, and we were the clowns! Finally to the second floor, and the guide disappeared. Where to warm up, where to go? I had about six different types of clarinets with me. I ended up warming up in the ladies room. I knew this was going to end badly. It did! Yes, definitely time to rethink this option! By the way, this vacancy in New Orleans occurred because the present second clarinetist was too ill to play anymore. After he saw that about 300 players were after his job, a miracle occurred! He got better and the search was called off. My epiphany happened during one orchestra rehearsal at the time I was doing my master’s in performance. We all were in our places, waiting impatiently for our tardy conductor. After about 15 minutes, students were starting to pack up to leave. As a grad student with a false sense of clout, I stood up and said, “Nobody leaves. We ARE rehearsing!” “But we have no conductor,” whined most of the players already half out the door. “I’ll conduct!” Geesh, what have I done … conduct what? I did some conducting as a public school teacher but never with a full symphony orchestra. As if I knew what I was doing or going to do, I proceeded to the podium with a certain air of arrogance (more like extreme fear). I grabbed a first violin part (no score was available), raised my arms, and magically, they all raised their instruments. WOW! Absolute power DOES indeed corrupt absolutely! With renewed confidence, I threw them the most vigorous of downbeats and Beethoven and I had a thrill ride. I stopped; they stopped. I would make a comment; they would take a pencil and write it down! And then, I felt responsible for these musicians. What I told them couldn’t be from a capricious wise-guy; it had to be right and to make sense. It was at that moment I fell in love with music again, but this time it was different from listening to those old 78-rpm recordings. That little conducting exercise taught me how little I really knew and how much I needed to know. It taught me that I indeed have an opinion about music that other musicians respected. It was the beginning of a long journey of learning not just about music but about people. Thank goodness for all those undergraduate conducting courses I took. After I graduated from Crane with a degree in Music Education, I was armed to teach public school. I taught for a while in New York at a middle school. I had terrific kids. We put on some wonderful concerts and my students and their parents really loved it all. Though I did move on, I never did forget about my music education roots. Music teachers today have it tough. There has always been competition with sports and clubs and even among music ensembles for student participants. But today, schedules are “blocked” and budgets are cut; though we rarely see athletic budgets cut. With all these obstacles, there is still music in our schools, and I am very thankful because it was a lifesaver for my daughter. My daughter has autism and my wife, a Jungian therapist, and I were trying to figure out something that would give her some solace after being bullied in school. In an article, I tell how I taught my daughter the clarinet and how it changed her life and mine (Watch out, bullies: She’s got the band behind her: edition.cnn.com/2013/05/08/health/autism-music-bullying-irpt/). I always knew music was powerful, but after working with her, I was awestruck. She was proud to be a member of a select group of students; her world changed because of music. As a musician you often get lost in your own little world, whether you are a pianist, conductor, or composer. But to witness such a profound change in someone you love pushes you out of that cubicle and confirms that what you are doing is a good thing, and that you can change people’s lives with this intangible thing we call music. From such a special experience, it would seem that teaching and learning are central to how you think about making music. My classroom is and will always be the orchestra. And guest conducting throughout the world, under many unusual conditions, meeting people from diverse countries, and recording CDs under a time limit; all those were my teachers. All the master classes I took and all the instructions that were given do not prepare you for the outside world. For you, it seems, much of the “outside world” has meant conducting abroad. What is that like? 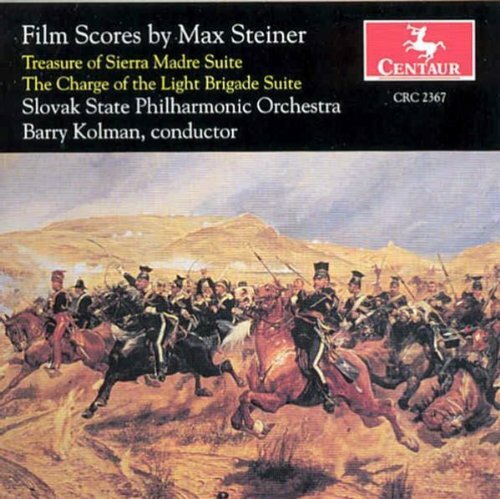 I have been lucky enough to conduct in Russia and Eastern Europe, with a few stints in Western Europe. I guess I was drawn to that part of the world because of my ancestry; my family may have been from Russia and Hungary. I do remember one orchestra in Yekaterinburg, Russia; the coldest place I have ever visited, and I’ve lived in Minnesota! As cold as it was outside, the warmth of the musicians showed me was incredible. After a long rehearsal in a room that had more than enough heat, I was literally dripping wet. I muttered to myself, in English, “Boy, I can really go for a beer now.” The next morning, a full case of Russian beer was on my podium. I looked up and there was a smiling percussionist nodding to me. He came up to me and tried so hard in English to invite me to his brother’s birthday party that evening, after the concert. We played the same concert out of town to a packed house. Our encore was Sousa’s Stars and Stripes Forever, piccolos standing, brass blasting; the musicians loved it. It was my final night and I was invited to say a few words. My translator was nearby. I stood up and looked at all these overworked, barely paid, musicians. “We in the United States, we have everything. We have more than we need. But all of you have even more; something that we Americans sometimes lack. You have heart. You have so little, but you have given me so much.” I couldn’t finish. The women of the orchestra already had their tissues out and those big burly Russian men were quickly flicking away their tears. It was one experience I will always remember clearly. Everyone always recalls such powerful experiences, of course, but you also call the orchestra a “classroom.” Does that mean for you, as well as for the players? Certainly! Maybe it started to make sense when I conducted two performances of Carmina Burana; packed houses both nights, score memorized, 350-plus people onstage in front of me, and about 650 behind me. But it felt like we were all taking part in the performance in one capacity or another. We were all active performers, even the audience. It was an exceptional experience that made all the sacrifices I had made to become a musician so worthwhile. I also spent some weeks in Changsha in China. It was an odd experience. Everyone was very polite. I have one important rule when I travel to a foreign country; don’t forget that you’re a guest in someone else’s house; always be polite, learn how to say “thank you,” “good morning,” “please,” and, most importantly, “break!” In China, as long as the conversation didn’t go onto the political, you were fine. Every night during my stay, I was invited to the home of a musician for dinner. The family invariably had at least one child who played piano or violin, so I was treated to a musical performance with each dinner. The freshly-cooked, homemade food was delicious, right from the market outside. We were to perform Beethoven’s Fifth Symphony. The concert hall was packed with over 1,000 people. There were many photos with the local officials, and then the concert. As we rounded the turn of last movement of Beethoven’s incredible Finale, pounding out C-Major chord after C-Major chord, suddenly, about 30 seconds or so from the end … the lights went out. But did we stop? No way! The orchestra continued in pitch blackness to the final cadence. The audience leapt to its feet, and we were all heroes. It is now, at this point, after conducting so many concerts and so many pieces, including some works that I have conducted dozens of time, I finally get it. I finally really understand the music. I understand why Beethoven wrote that particular symphony; why that theme is heard at that particular time; why that emotion is created at that moment. It’s like taking apart a car for the first time. Sure, one rides in a car for decades, but have you ever taken one apart? Now when I conduct Beethoven or Tchaikovsky, I hear, perhaps I even feel, the composer speaking to me through his music. Conducting is a more powerful experience, a more powerful learning experience as you get older. You have conducted around the world and have led the Shenandoah Symphony for 25 years; what’s on your list of things to do? What’s on my bucket list? Beethoven’s Ninth Symphony, Tosca, Mahler’s Second, teach graduate conducting students … and, most importantly, to conduct in my hometown of New York City for my Mom to see. This article originally appeared in Issue 37:4 (Mar/Apr 2014) of Fanfare Magazine. El Lenguaje De La Música: Al Descubierto: A Winner! 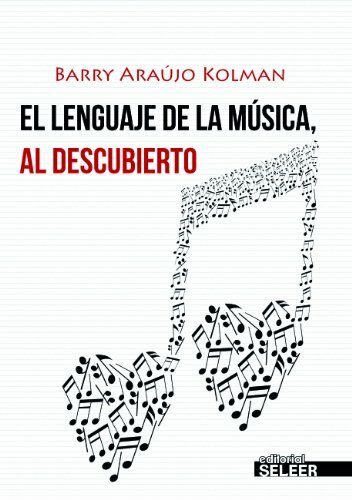 I am thrilled that my book, El Lenguaje De La Música: Al Descubierto, was chosen as a winner of the 2014 International Latino Book Award. According to the ILBA website: “Formers winners included Belinda Acosta, Roldofo Acuña, Alma Flor Ada, Isabel Allende, Rudolfo Anaya, Mary J. Andrade, Ron Arias, José Antonio Buciaga, Denise Chavéz, Paulo Coelho, Dr. Camilo Cruz, Gabriel García Márquez, Reyna Grande, Oscar Hijuelos, Edna Iturralde, Mario Vargas Llosa, Josefina López, Pablo Neruda, Ana Nogales, Jose-Luis Orozco, Luis Rodriguez, Alisa Valdes, and Victor Villaseñor. I’m honored and humbled to be in the company of such great authors. A triumph in the cause of “inclusion”. Nobody should ever feel unwanted or left out. There is enough room at the table for everyone. 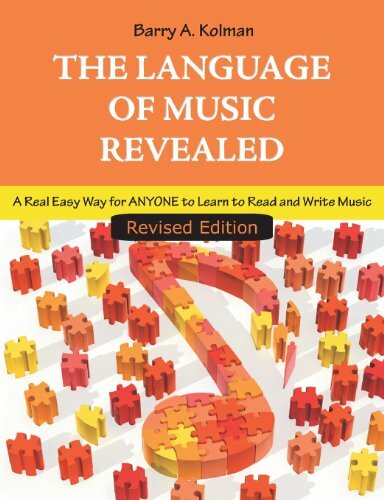 via The Language of Music Revealed.